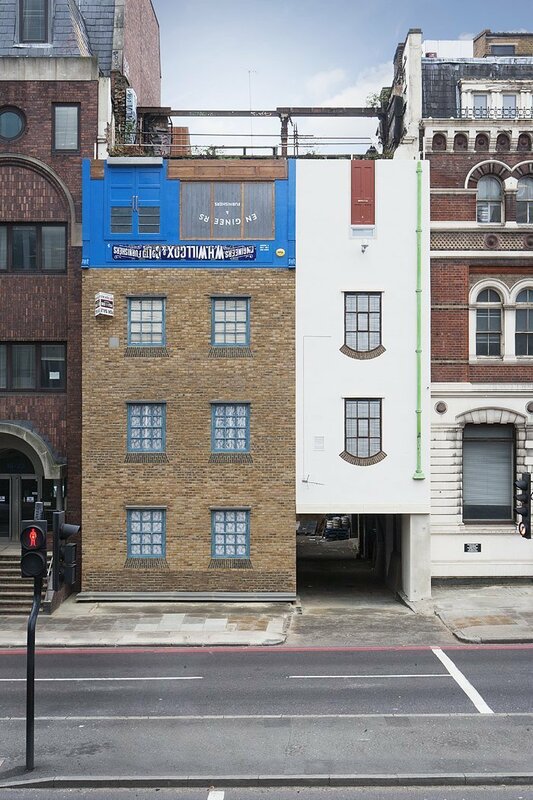 Celebrated artist Alex Chinneck’s latest amazing project “Miner on the Moon” is a remarkable upside down house in London. The last one was his sliding house in Margate – http://www.dailymail.co.uk/news/article-2440080/Margate-sliding-house-created-artist-Alex-Chinneck.html. Just south of Blackfriars Bridge, the project was completed as the finale to Merge Festival 2013 and Norbord’s Sterling OSB once again proved invaluable to Alex, a fan of the OSB panel product. Built in 1780, the site was originally used as livery stables housing horses and carriages for hire.